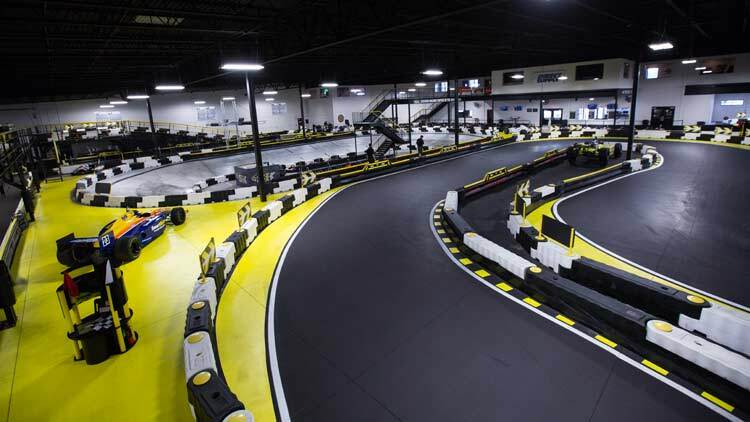 Located just 10 minutes from downtown and blocks from the famed Indianapolis Motor Speedway, Speedway Indoor Karting is a world class indoor karting facility that provides visitors of all ages and experience, the opportunity to experience racing through driving on both a European-style, multi-level road course as well as a banked oval. 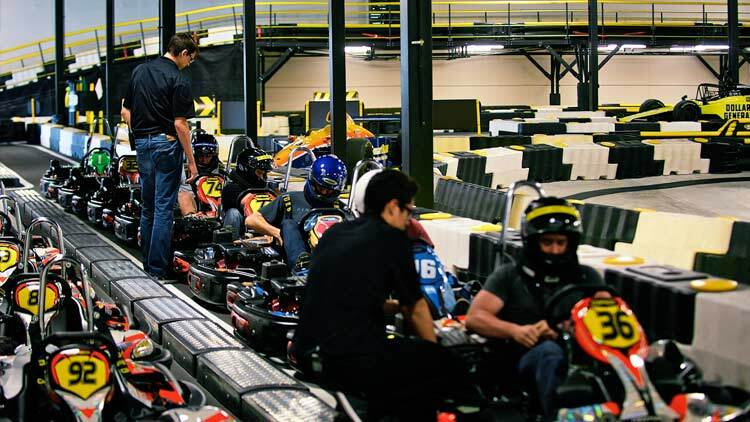 The facility features multiple impressive air rotation units as well as fresh air intakes to allow guests to experience the adrenaline, power and feel of gas powered karts all year round. 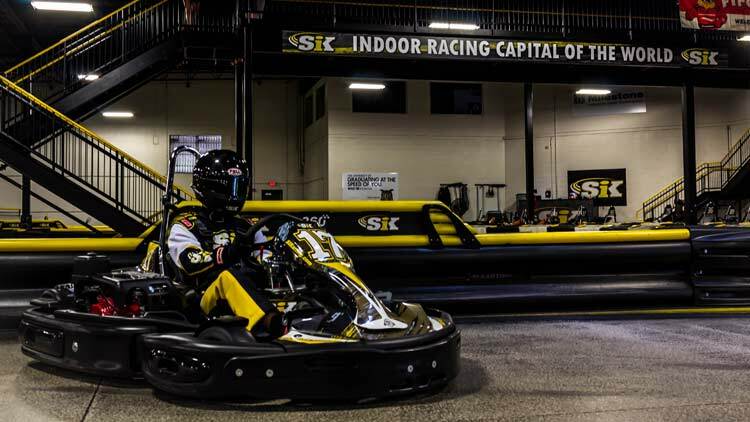 With a personalized, hands on approach our visitors will quickly become acclimated to the karting equipment through easy coaching and guidance from staff and owners, Sarah Fisher and Andy O'Gara. 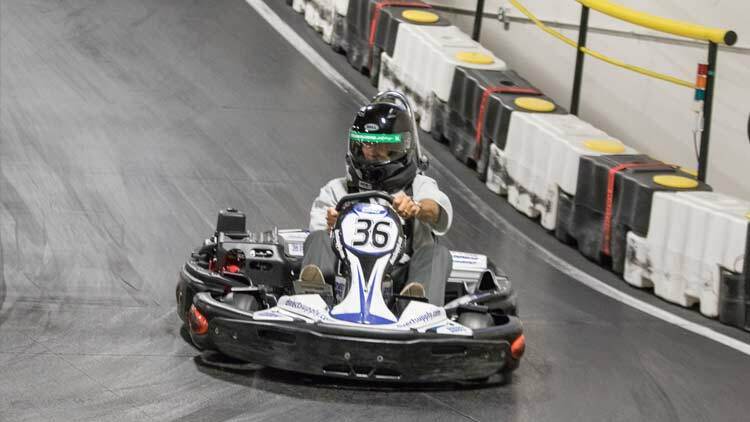 It's perfect for the karting novice and is thrilling for the more experienced karter. 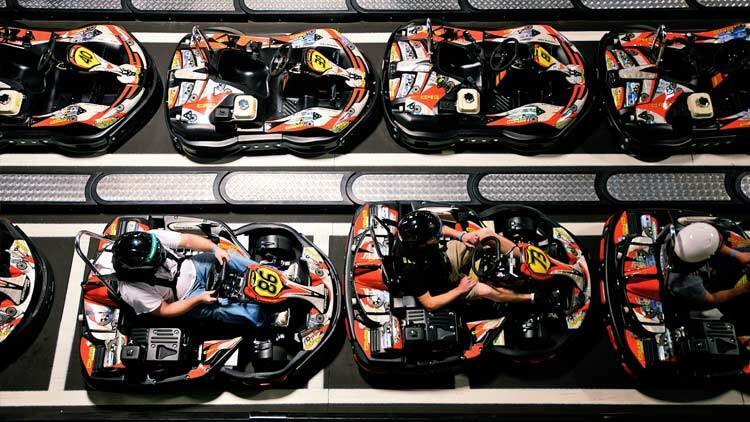 Guests must be at least 8 years old and 48 inches tall. 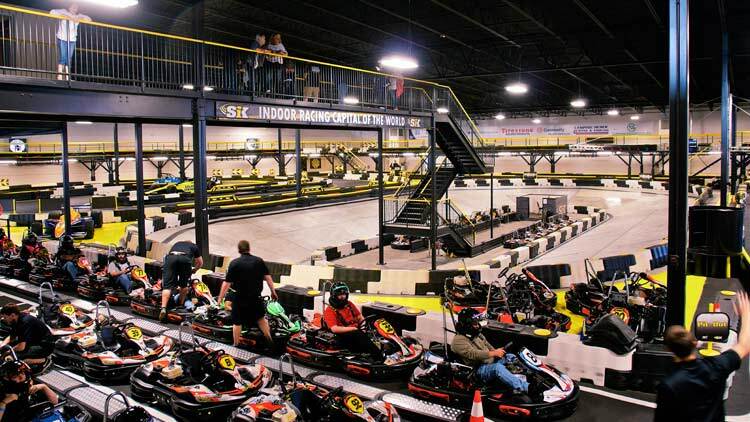 Ages 8-13 participate in junior karts and ages 14 and above race in adult karts. 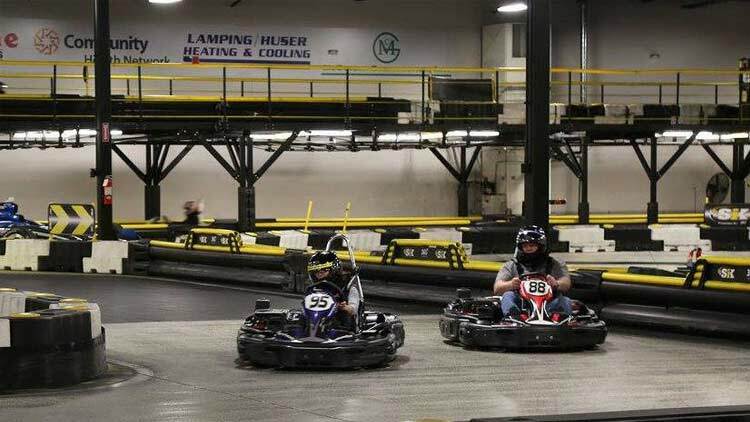 Both karts can go on either course but race at separate times. 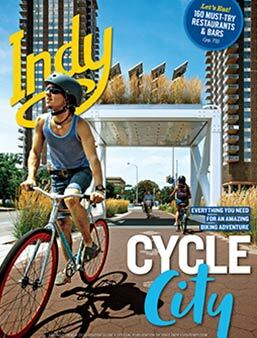 All racing, outside of private track rentals, is first come, first serve. A waiver is required for anyone under 18 years old. 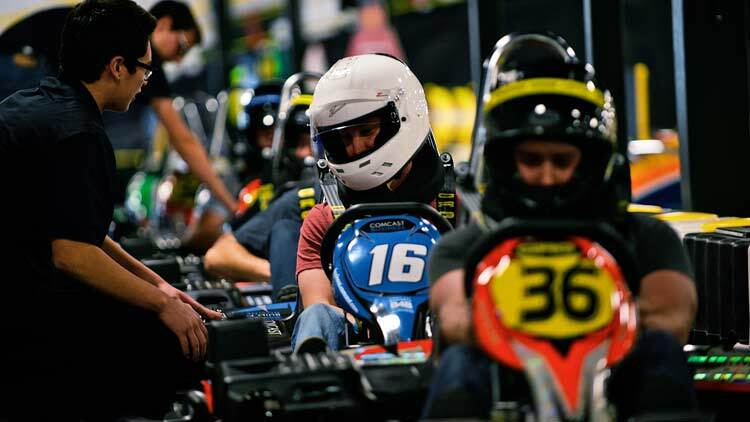 Our customers will also have the availability to savor a delectable meal or drink while viewing karting drivers through the windows of a two story, on-site fully independent American Cuisine restaurant, 1911 Grill. 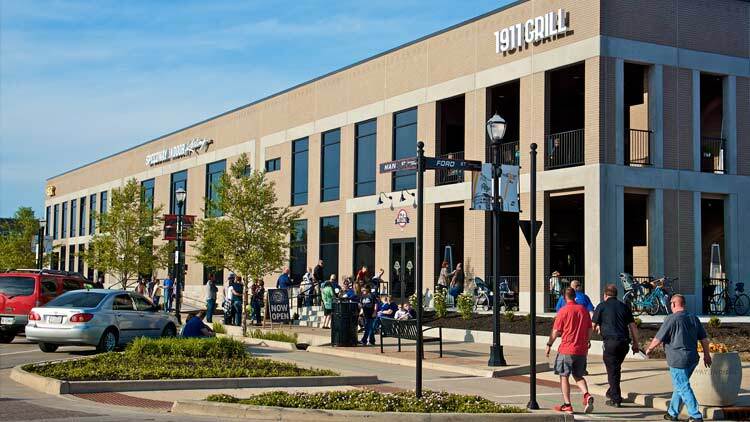 Our 1911 Grill is open to all ages and features two stories of seating, both with outside seating, fireplaces and fantastic views of Main Street, Speedway in addition to the newly added mini-bowling lanes and game room.